I love creating family traditions. The best ones are so unique that no-one outside of your family would necessarily enjoy or understand. Our latest creation is Punch Buggy. Back in August, when our UK family came to stay we did a fair bit of driving around, and often the boys (Mark, his bro, cousin Jack and Noah) roadtripped in one car whilst us girls and Mylo drove the other. Uncle James and Jack were constantly punch bugging each other, and it really caught on with us. It's an easy game - the first person to spot a VW Beetle (a VW Bug ) gets to 'punch' the other person (in jest of course, no real violence intended!). Apparently James and Mark used to play it when they were little. Mark can't really remember it, but we reckon that's probably because he was at the receiving end of most of the punches from his big brother! Anyway, it's become quite the tradition with us - mostly cos Noah is always on the lookout. At every opportunity - on the way to work or home, to the supermarket, football, you name it, every car trip is a potential scouting opportunity. And now I can't stop looking for them everywhere I go! Aaaagggggh. 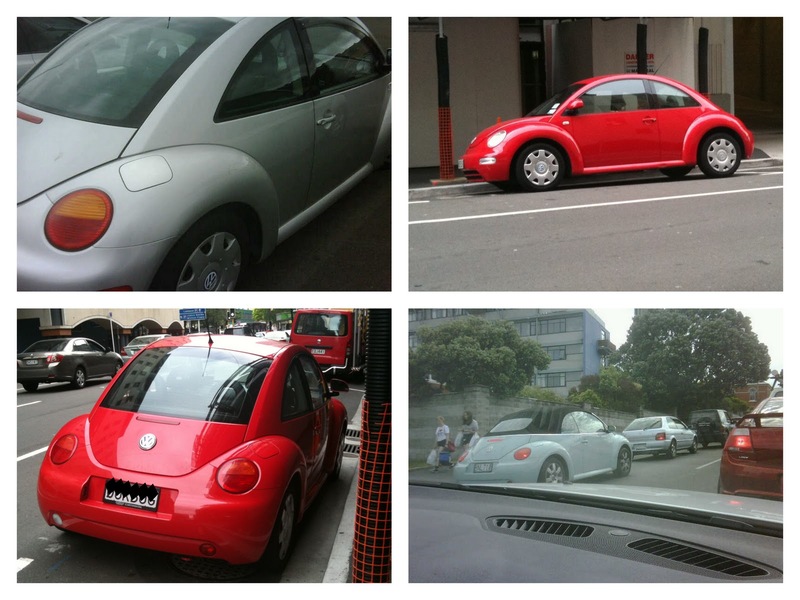 Even walking to work after dropping the boys at daycare finds me taking a pic and flicking a quick What's App (iPhone/Blackberry application) message off to Markie with the picture and 2 words.....'punch buggy'!!!! What unique traditions have you and your family had fun creating? Hi Meghan! Thanks for the comment- HI! I love meeting other kiwi bloggers and I look forward to getting into your blog. Happy days! I also love how seeing a vw beetle can bring all those lovely emotions attached to it.